To make either a decorative decoy or a true working duck decoy the following steps are followed. You may prefer working with cedar over the more popular basswood, basswood makes a better decorative decoy, but cedar adds needed buoyancy to a strictly working model. A block approximately eight feet long and eight inches wide by four inches thick will provide enough wood for seven decoys. You can keep blocks in various drying stages for work done throughout the year. You can always maintains workable wood for ongoing projects. Blocks must season until cracking or splitting is finished. Cut sections from the blocks approximately 12 inches in length, depending on the species manufactured. The blocks are six inches wide, which allows a two-inch lengthwise strip to be utilized for accompanying duck heads. Very little of the eight foot section is wasted. The next step is shaping the heads and bodies. 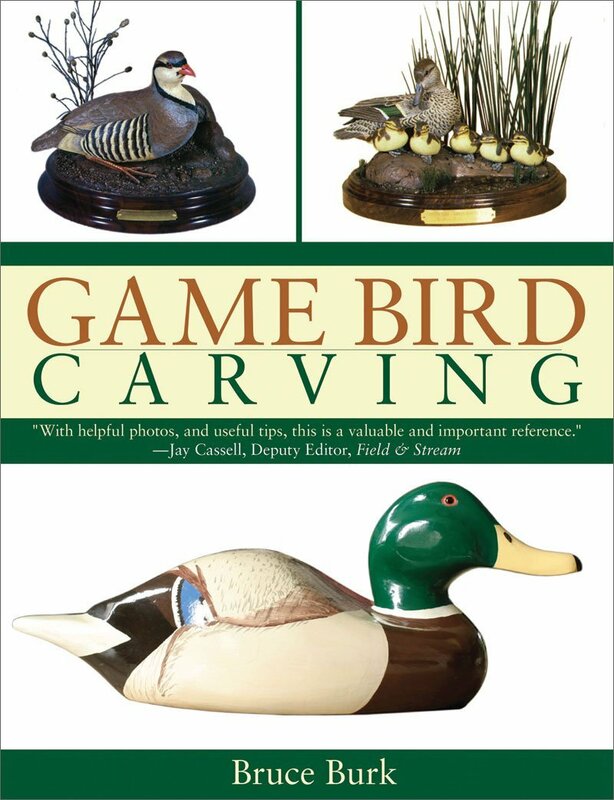 Decoy patterns can be found in books and magazines. The desired pattern or template is traced directly onto the wood section, and is roughly shaped or cut out with a band saw or handsaw. Popular pattern include buffleheads, hooded mergansers, mallards, pintails, readheads, goldeneyes, teals and wood ducks. A saber saw is set at an angle and the marked decoy gradually takes shape, sloping the top body angle from the front to the tail section of the decoy . The neck slot is fashioned with a handsaw, a draw knife rounds off edges nicely. The pattern is placed and traced to mark the wings and back tail feather sections. A rotary power tool is used to forms the outlines. The duck head is worked similarly, and then placed decoy body. Mark the exact spot where they will be attached, so the neck can be formed or shaped. This guarantees two pieces precisely fit, now both body and head must be marked as a unit for permanent attachment in the future. Sand the pieces to the proper smoothness, sanding decoys should be done outdoors with the wind blowing any residue away from you. You will fine cedar sands easier than basswood. The sanding is time consuming and sawdust is a lung and sinus irritant. If weather conditions do not permit working outside, wear a dust mask. They are inexpensive. A large sander is used next, later a barrel sander is attached to a rotary tool for hard to reach areas. Assemble the head to body some of which can be off-set for greater realism. Drill a hole in each of the heads and bodies, gluing in a dowel for support. Now the working decoy is ready for a paint. The task can be done either indoors or out. Winter is an excellent time to make decoys, but drying conditions are often inadequate unless you have a heated workshop. If you do have a place to paint, it's a good idea to save some ducks to finish during the off-season. Applies a neutral base coat to the decoys-black, white or tan. Two primer coats are needed to properly seal the wood, and give durability. The model is now ready for detail painting. Once you are quite familiar with the accurate kit shades needed for each style of decoy, color matches can be obtained from your local hardware or paint dealer, until then you can purchase decoy painting kits. Detail work is accomplished with patterns or templates. The area to be worked is drawn upon and separated from completed sections with the use of masking tape. In this manner, lines are kept straight and paint intrusion is held to a minimum. Do not leave the masking tape on too long or it may solidly adhere, causing the pulling away of paint from sections. When the unavoidable paint overlapping occurs, just do the minimal touch-up work. The finished decoys can be fitted with either glass eyes or painted nail heads. The glass eyes must be ordered, but the painted nail head eyes can be fashioned by cutting down small nails and painting them with three or four coats of the proper eye color. Just drill holes in the duck head smaller than the nail base. The eyes can be push into the the holes.